All Saints’ model of Youth Ministry involves many teens and adults. Leadership, faith witness, and service are key components for those interested in Peer Ministry. 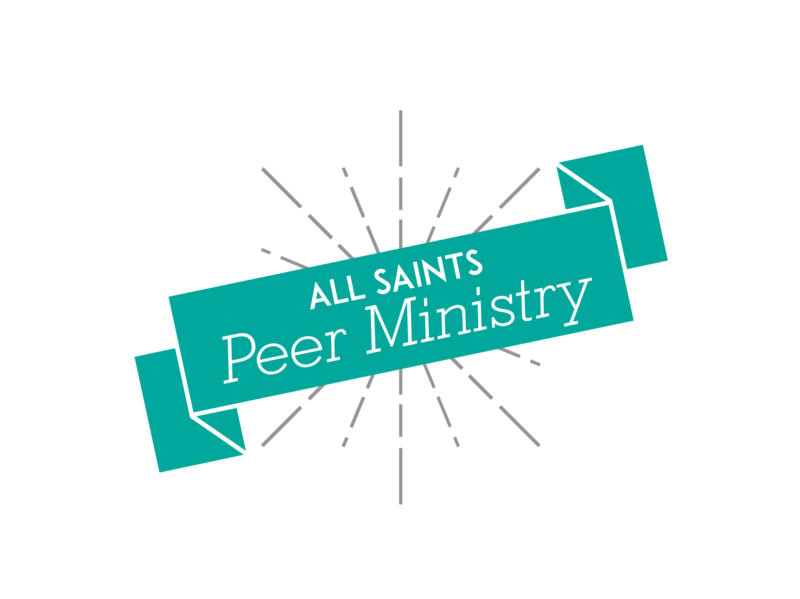 Peer Ministry is the youth leadership of All Saints... ...and YOU are invited to apply! What is Peer Ministry? It is an opportunity for high school youth to respond to their baptismal call to be a priest (servant), prophet (faith witness) and king (leader) among their peers in youth related events and activities in All Saints and in the community. Peer ministers serve as leaders for youth groups (middle school and high school), music, retreats, service pieces, and more! Teens in Peer Ministry choose his or her commitment level and specific responsibilities. Fall retreat and some training are required for those interested. Why should I get involved? You should be a peer minister if you possess the passion and courage to preserve and grow in your relationship with God, serve others, witness your faith (share and spread the Good News), and to build skills to be a leader. Peer Leader: Any mature teen (grades 8-12). For younger teens, teens that are interested but unsure, and teens that cannot commit to ongoing involvement or the regular planning/formation sessions expected of Peer Ministers. Peer Minister: Any mature teen (grades 9-12) that is interested in serving other teens, and has at least one year’s experience as a Peer Leader. Both require two adult character references. A willingness to serve, care for others, ability to interact with peers, clergy, adult ministry members and/or leaders, model Catholic values, and a desire to grow in faith. Attend fall retreat in August . Retreat Signup link on event sign up page- see link in menu bar.